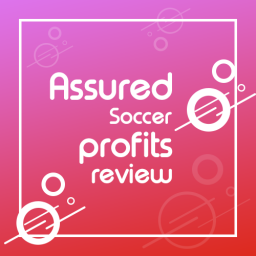 Home Betting What Is Dobbing and How Do You Profit From It? 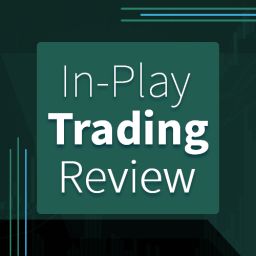 Are you looking for a smart strategy to trade horses in-play on Betfair? If you are then you might wonder whether the dobbing technique is your best approach. This isn’t a strategy for newcomers to Betfair trading. You will need to have at least a basic knowledge of trading strategies on Betfair. In addition, while this is a way of making good money but you can also lose cash. So you need to know exactly what you are doing. Let’s see what it is all about. There are some aspects in common between dobbing and back to lay systems. If you know how to do the latter you are off to a good start. However, you need to bear in mind that there are some important differences too. Basically, you place a win bet first of all. Next, you use in-play betting to hedge it. The dobbing term arose from the phrase “double or bust”. You will most commonly see it described as back to lay, though. Even if this isn’t 100% accurate. Your lay bet needs to be at half the odds of the back bet. But with double the stake. In the example above, if I placed £10 on Artic Sound before the race started at odds 7.0, and a £20 lay bet at odds 3.5, I would make a £10 profit regardless of which horse won the race. Both bets would need to be matched to secure the profit. 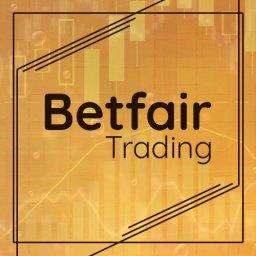 At the moment, Betfair is widely seen as being the best place to do it. For a long time, this betting strategy was like a well-kept secret. Thanks to the internet, it is now more widely known about. Having said that, it is still used by a minority of bettors. This is a good thing. Therefore, it makes sense to take advantage of it just now, while you can. The truth is that many people have never heard of it. Even people with years of betting experience might not know about it. It can come as a big surprise to some industry experts. Clearly, dobbing isn’t yet mainstream by any means. This is an interesting question. In fact, it leads us to one of the more noteworthy aspects of dobbing. This is the fact that some people consider it “too easy”. This might seem a strange attitude to take when it comes to betting. Yet, this is what punters seem to think. These words will normally be uttered by people who prefer traditional forms of picking winners. Is there in anything in their claim of it being too easy? I personally don’t think it’s that simple. Do your research on the runners well if you want to secure long term profits with this strategy. You need the right software to carry it out well. You also need enough time to get it right. However, it certainly isn’t particularly difficult. Once you understand the basics you will be up and running in no time. By this stage you should be intrigued. What is it that dobbing is really about? This strategy sounds kind of mysterious so far, doesn’t it? Well, let’s get down to the nitty gritty. This way of betting works because we can predict something specific. This is how certain horses will run the race. You see, some of them are slow and steady. Others start off slowly before making their move later on. What type of horse are we interested in for dobbing? This strategy relies on pace horses, also known as front runners. This type of horse will typically hit the front early on. Why is this so important to us? The key to dobbing is that a horse like this will shorten in price. As the race is run and he hits the front, the odds shift. This is the sort of predictable price movement we need. The more things we can predict, the easier it is to trade profitably. So, you want to back the lovely big fellow to win. You then want him to have a strong start so he takes the lead. At this point, the odds will have shortened, possibly significantly. Your next move is to lay the bet. If you get the right price then you have a guaranteed profit in the bag. If your chosen horse starts powerfully you can earn money long before the finish line. When he strides ahead of the pack, the market will reflect him as being the favourite. This means that people will now be putting money on him. So you are in a strong position to trade successfully. It then doesn’t matter to you who wins. If your runner fades and gets left behind you win. No matter which rival romps home first. If your pick stays ahead all the way then you still win. One option is to sign up to a service that sends you tips on a daily basis. This will simply be an email with the details of the horses worth betting on in this way. You either trust the service and back their selection, or else you don’t. Another option is to use a tool to find your selections. This will typically have lots of data with filters to help you sort through it all. This approach will take you longer at first. But you should soon get into the swing of things. Paid services include Inform Racing In Running Trading Tool, Horse Inplay & Proform Racing. Do you feel confident enough to choose your own horses? This is undoubtedly a more exciting method. It can take more time to become confident, though. How do you get started? The first step is to choose a website to get your race information from. You need to register for a site such as PatternForm. This is a free site that lets you see all of the day’s race cards. You can then delve deeper, to see which horse were the front runner in previous outings. By this stage, you know that you want a horse that is a strong pace horse. Once that regularly hits the front when it runs. What else do you need? Ideally, there won’t be any other pace horses in the field. Open PatternForm and open today’s race. Look for a horse with lots of 1 ratings which means they are likely to lead. Cloudy Glen has lots of low numbers. If the other horses in the race have generally higher numbers, then it’s likely to lead. What if there are several horses used to leading from the front? In this case, you can’t be sure which one to choose. You have no way of knowing which runner is the best pace horse in the field. If you aren’t sure then you should walk away. There will be plenty of other races along with clearer opportunities for you. There isn’t a great deal of hard and fast rules to be aware of here. A lot of time, it will come down to your gut instinct. Is there a pattern you can see that gives you confidence? Remember that you want one- and only one – reliable front runner in the field. You don’t want a horse that sometimes sprints ahead and sometimes lags behind. This strategy requires you to be clear about which horse is probably going to lead the race. At least for a spell. Here’s an interesting point, though. What if there is one horse who is a reliable front runner priced among the favourites. And another that sometimes leads but is an outsider in this race? On the face of it, this is a race that you won’t take a risk on. But what if the statistics show that the favourite is the more likely to be the pace horse? In this situation, you could be tempted. This is due to the fact that your horse’s price will drop if he goes to the front or behind the outsider. Simply because he is more fancied, his odds will shorter more than the outsider’s. How Should You Get Organised? Making money from dobbing largely comes down to the quality of your information. As we have seen, you can get hold of some valuable data for free. Yet, isn’t it better to create your own as you go? This can be as easy as starting to fill in an excel sheet with the details of your bets. You will want to note as much detail as you can. This will include details of how the race went. Did your horse take the lead? If so, was it only for a brief moment or two? You are now ready to get down to business. Will you find the perfect way to make lots of money? To start with, how will you make your trades? It isn’t a good idea to do this directly on Betfair. Instead, it makes sense to use some sort of trading software. This makes the process a lot faster and simpler. A couple of the options here include Geek’s Toy and Bet Angel. You will need to pay to use any of the best pieces of software of this type. You can carry out the actual betting with just a few clicks. What can be trickier is trying to decide what to do. You shouldn’t end up doing this while the race is going. You need to know what your plan is before it gets started. It is important to see what is going on if you are able to. You can watch Betfair video if you’ve placed a £2 bet on the race. Is your horse looking good in the build-up or is he looking nervous? Is there something that is giving you a bad feeling about this trade? If in doubt, don’t go ahead. There will be another race along before too long. You can basically get started at any point before the race begins. You might notice the price goes down not long before the race starts. Why is this? 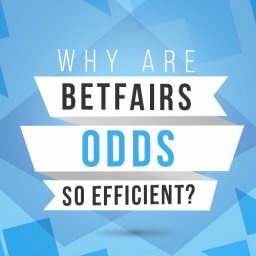 It could be due to other bettors carrying out dobbing or back to lay bets. If you identified this opportunity then others may have too. This isn’t always the case. But if a horse is a strong candidate for this strategy the price normally comes down. This often happens in the 5 minutes before the start of the race. Ideally, you will place your bet around 10 before the start time. The only real reason for this is to avoid any last minute stress. Don’t forget that the idea is to get lock in a profit. This typically means cashing out as soon as you can. It may feel too early but it probably isn’t. Hang on for too long and the potential profit may just disappear. Don’t get greedy and hang off on the hope of getting a bigger profit. This isn’t about trying to achieve the highest profit possible. It is about getting out with a decent profit. Exiting the trade too early is something you will rarely regret doing. On the other hand, hanging around a bit too long will lead to bitter regrets. The best way to look at this is that looking after your bank is the key. You will do whatever is needed to not lose money. It is better to win a small amount than to risk losing. Even if you feel that you are passing up a possibly bigger profit. It can be hugely tempting to hang in longer. Will the odds keep moving in your favour? 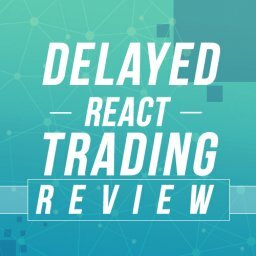 A few more seconds and your profit might double. Don’t give in to this temptation. How long does it take for a winning position to turn into a loss? This can happen in the blink of an eye. You will be left feeling angry with yourself if you let a small profit turn into a loss because you got greedy. Many traders get some decent wins but want more. This means that they start taking too many unnecessary risks. They may go on a good run of handsome profits in this way. However, at some point it will all come crashing down. How should you look at this strategy then? Try to look at dobbing as a way of gradually building up your profits. You can build your empire one brick at a time. There is really no other sensible way to do it. As well as the financial aspect, don’t neglect the effect on your health. Running risks and aiming for big wins can send your blood pressure rocketing. Take the sensible approach and look after your health at the same time. Knowing exactly when to exit is an art you will slowly learn. This means that there is no guaranteed best way of doing so. One point to bear in mind is that on course traders have a slight advantage over you. They are seeing the action without the small delay on the TV images. If your horse starts to run out of steam they will know fractionally before you do. Small differences like this add up eventually. It is always a smart idea to put on the live feed from Betfair. Keep watching your horse to see his attitude. If he desperate to hit the front right away? Or does he look lethargic and not very interested? Many jockeys prepare to hit the front right away. You might not have noticed before how obvious this often looks. By paying close attention you will start to understand the body language of a good pace horse. You should sense the urgency with which horse and jockey look to push their way to the very front. If it doesn’t look like it is happening for this horse then get out. Successful bettors make money in the long term with dobbing because they ditch losing bets quickly. You might not lose much, if anything, by doing this. Sticking around too long will see the losses mount up, though. When a bet isn’t going to work out, getting out right away stops it being a disaster. You might break even or possibly get a tiny profit out of it if you are lucky. Working out exactly when to exit is a fine art. So what should you do on your first bets? A clever approach is to cash in when your horse first takes the lead. Be sure that you check the live odds before you do it. It should only take a second or so for the odds to drop. If they don’t drop in a few seconds then quickly exit. Something has gone wrong for you in the market and it isn’t going to get better if you wait around. This is typically the least risky way to get a profit. Even if the lead only lasts a matter of seconds, you have made your profit. The odds shift swiftly because punters bet on your horse once he is leading. Others will close their lay bets on him at this point. This might seem like a fairly dull tactic. It certainly would be more exciting to keep your money riding on the horse. It isn’t guaranteed to be more profitable to hang in there, however. Watch how the race develops after, but without regrets. Would you have won more money by holding on? Or would the profits have gone up in smoke? You will start to see a pattern and get a feel for when the maximum profit usually occurs. Of course, this maximum profit point varies from one race to another anyway. There are two simple ways to exit the trade. Either click on the green up button. Or else click on the ladder on the lay for the same amount of wager you backed at. Be sure that you are completely clear on this before starting. If you are using a software tool it should have an easy exit button to get you out of the trade instantly. Dobbing is a terrific way of getting an edge on the market when you research the horses. It does have some risks and drawbacks. But if you are smart about it then you can pick up modest, regular wins time after time.